Which theatre was built in seven months? The Royal Hippodrome Theatre in Eastbourne. Where’s Eastbourne? On the south coast of England, midway between Brighton and Hastings. Before 1885 Eastbourne didn’t even have an elected local authority, despite a population in excess of 40,000. However, it did have a season extension committee, because the influx of summer visitors only lasted for nine weeks and traders wanted this to be longer. So they approached the famous theatre designer Charles John Phipps. ‘We haven’t got any money, but we do have a town without a theatre’. Mr. Phipps asked his London friends, who invested £13,000. 2nd January 1883 the existing building on the proposed site started to be demolished. 2nd August the same year was opening night, with 1,500 clamouring customers eagerly waiting to be entertained. The stalls had the first three rows closest to the stage with individual expensive seats, the rest downstairs had benches. All four boxes had private entrances, the dress circle was for the more wealthy patrons, again with individual seating. The overlap to the very top tier where the very poor people sat on benches was zero, so rubbish could not be thrown from the top to the middle. The first manager’s name was Waldtern Pegg, straight out of Dickens. He was a larger than life character, with a performing wife also very confident. After four months it transpired that the real Mrs. Pegg was still in Manchester, so were their two children, and maintenance money had dried up. Solicitors were instructed, Mr. Pegg and ‘Mrs Pegg’ tried to brazen it out, but one morning they were discovered to have done a bunk. Various theatre managers have come and gone since Mr and Mrs Pegg, many famous acts and even more forgettable ‘acts’ have also been consigned to history. 1904 saw a French lady and her six ‘educated lions’ in a cage on the stage, where two local businessmen consumed a bottle of champagne. Safe to assume that the poor animals were drugged. Harry Houdini, Bruce Forsyth, Vesta Tilly, Max Miller, they have all appeared, and now the theatre is owned by Eastbourne Borough Council, who have granted a license to three local businessmen and their wives. Sundays it is open to the King’s Church, Tuesday and Wednesday evenings there’s a summer show, every other Thursday evening there’s a ghost walk – it’s one of the most haunted theatres in England – most Saturday evening it’s variety, with acts ranging from Joe Brown to the Illegal Eagles to Richard Digence. Sometimes there’s a matinee with comedians from Roy Hudd, to Jeffery Holland (Spike in Hi-di-hi) in September with his one man show tribute to Stan Laurel, and also the same month Frank Williams, who was the vicar in Dad’s Army. Truly a diverse community theatre, little changed in 131 years. 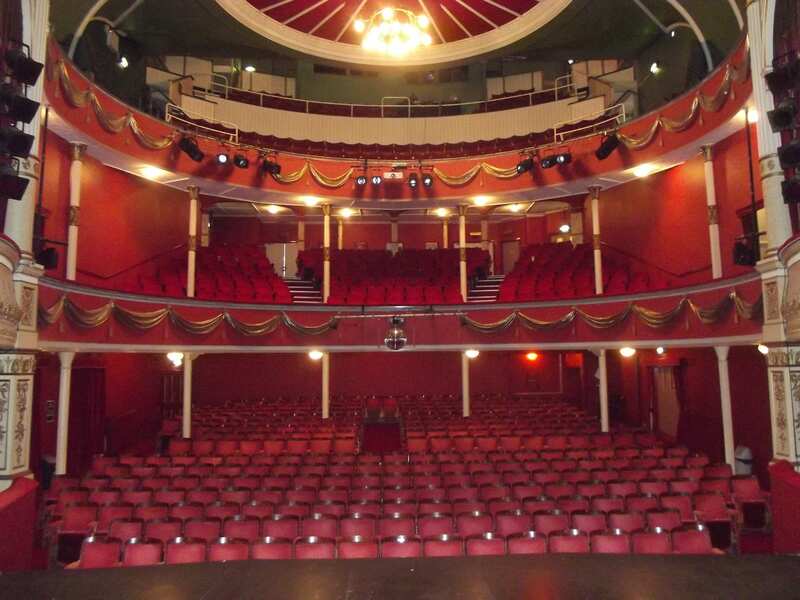 There are also guided walks around the theatre first Friday of every month at 10am organised by the Friends of the Hippodrome.